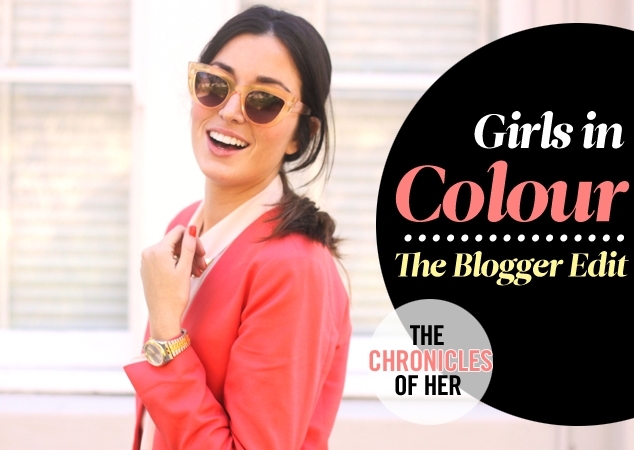 SPORTSGIRL BLOG LOVE: GIRLS IN COLOUR. Introducing a short but sweet collaboration I did with Sportsgirl a couple of weeks ago for their Girls in Colour Blogger Edit. They wanted to get our spin on their latest Colour Me Good campaign and this was what I came up with. 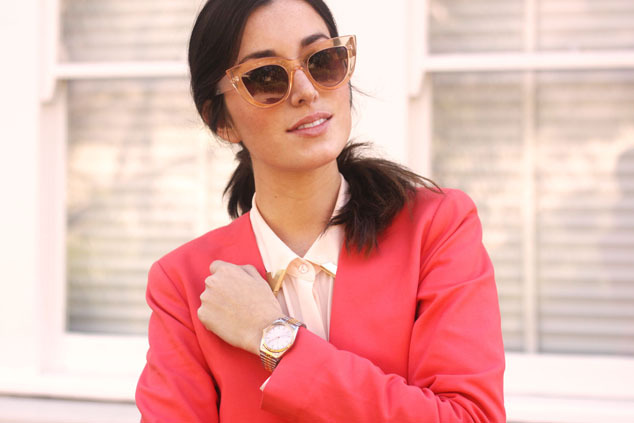 Jacket, blouse, collar tips, sunglasses, shoes and watch by Sportsgirl. The outfit was accompanied by a quick interview, including a few of my tips on how to wear colour if (like me) your wardrobe tends to consist of black, black, and more black.